Downsizing is a buzzword that hasn’t shown any sign of going away over the last decade or so. It’s no longer simply the preserve of houses, or car buyers that reckon they can cram all of their stuff into a smaller boot – it’s spread to the engines of sports cars, too. 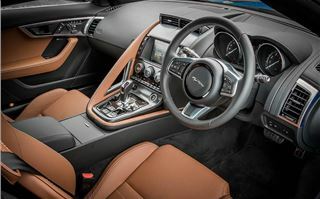 Just as Porsche has launched a four-cylinder version of its entry level 718 Boxster and Cayman, Jaguar has decided that it is time to put a 2.0-litre engine in its F-Type. Thankfully this is not an ordinary 2.0-litre engine and is a far cry from the sensible units in the likes of the XE saloon. 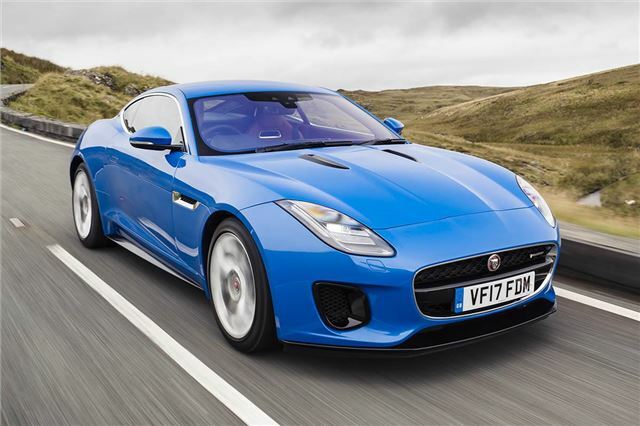 It is an all-new petrol engine that boasts an impressive 300PS and is part of the new family that Jaguar Land Rover calls ‘Ingenium’ engines. 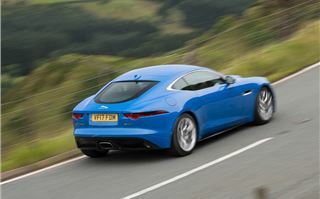 It will be heading towards other models in coming months, but the F-Type is the first to benefit from it. 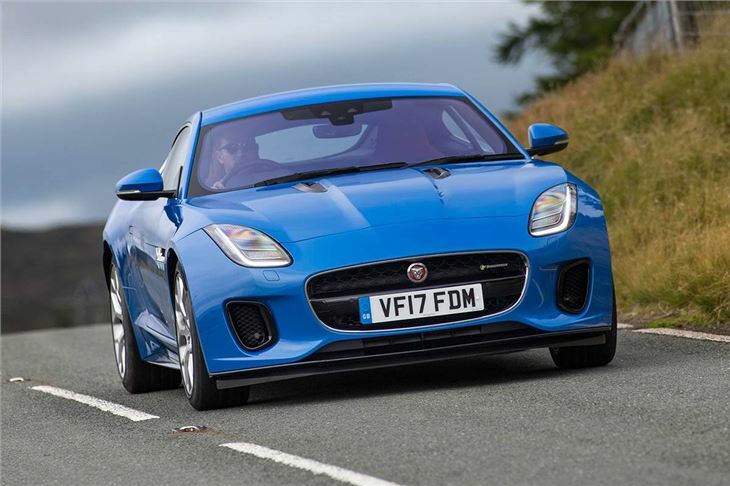 One of the big selling points for the F-Type for many has been the noise and brutality of the V6 and V8 engines - and there could be a concern that a smaller engine would lack a large amount of this appeal. An official 0-62mph time of 5.7 seconds could suggest that the edge has been taken off the performance, too. 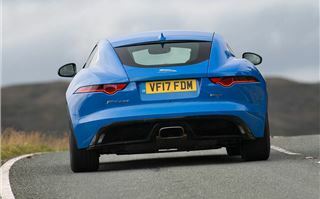 Fire up the F-Type and there certainly isn’t the immediate aural impact that you get with the bigger engines, but that isn’t to say that the 2.0-litre version is quiet and boring. It is relatively calm and unobtrusive at idle and town speeds, but the noise comes when you start to press on. 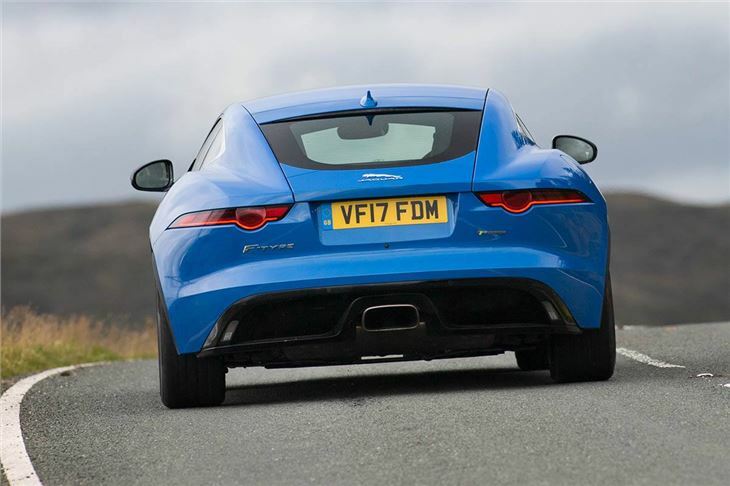 Rather than the engine, it is more down to the trickery that Jaguar has applied to the exhaust, and you’ll hear the single output of the rear pipe popping away merrily, which provides plenty of entertainment. 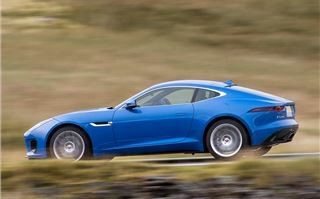 There are various other benefits of the smaller engine too, as it's lighter than those found higher up the range - by 52kg, so Jaguar says. 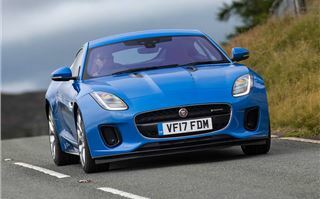 This helps, in part, to boost the Jaguar’s fuel economy. This engine is 16 per cent more efficient than the next most efficient F-Type, claiming an official 39.2mpg and CO2 figure of 163g/km in both coupe and convertible form. The new engine also aids handling and its comparative lack of power actually makes it easier to really enjoy the F-Type as a sports car. It provides a hefty amount of its power at relatively low revs, which means that it’s easy to play around with the slick paddle-shift gearbox around fast corners without ever really getting caught out in the ‘wrong’ gear ratio. It’s worth playing with the driving modes, too, as they make a subtle but noticeable difference to how the car drives, allowing you to differentiate between popping to the shops and heading out for a blast down quiet roads. 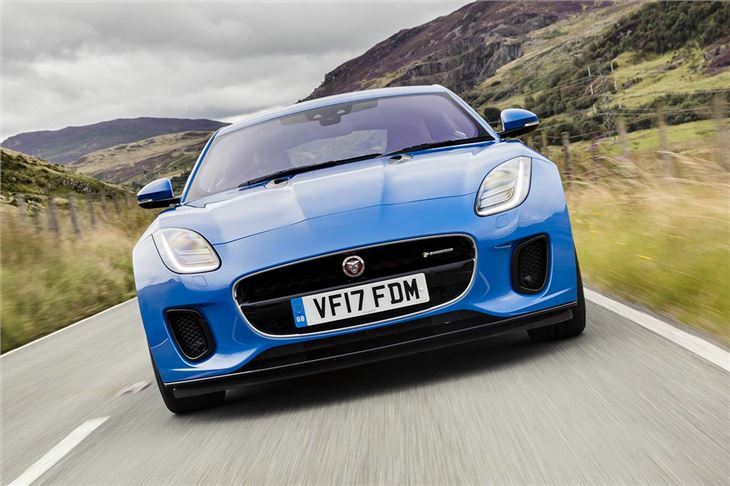 Put it in Dynamic and the ride stiffens up slightly – enough to sharpen the handling, but not enough to detract from the F-Type’s comfortable nature. The steering is decent for an electronic setup, feeling firm enough to allow you to enjoy tight twisty corners without whirling the wheel around too freely. It doesn’t give vast amounts of feedback though - and it can feel like you are gliding over rougher road surfaces, rather than driving over them, but this is nothing new. 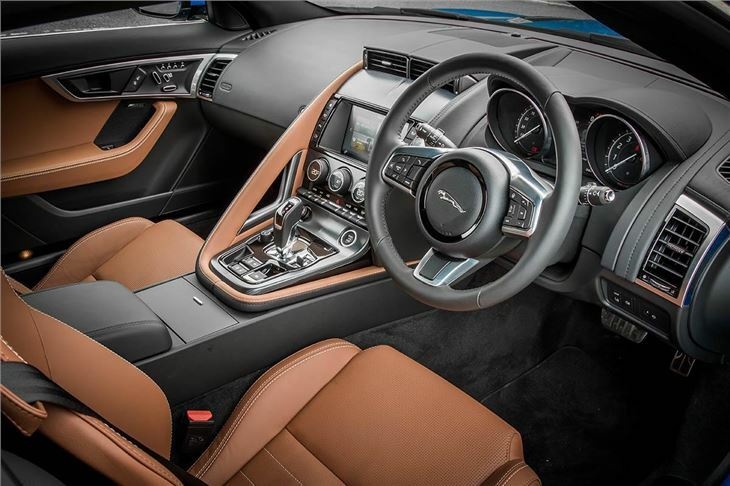 The interior is standard F-Type, with three large dials that allow you to fine-tune the climate control and seat temperature without taking your eyes off the road. The same can’t be said for the touchscreen and navigation system though, which is fiddly to operate despite the selection of shortcut buttons down either side. 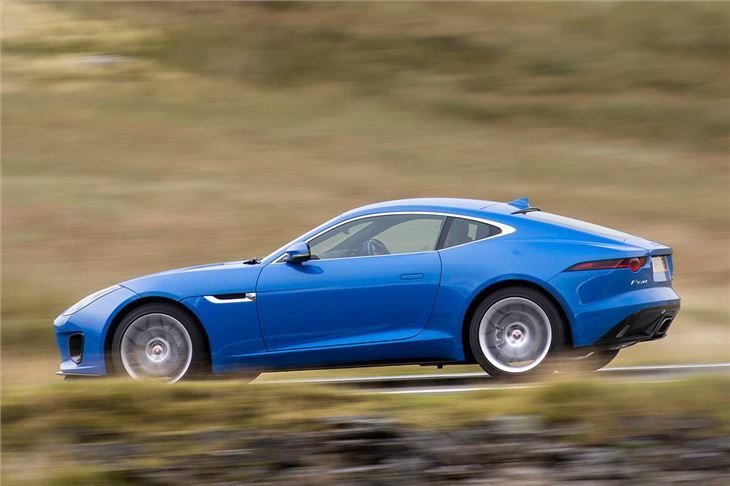 The plus points of this new entry-level F-Type are many, as it makes for a slightly less intense but still very entertaining sports car. 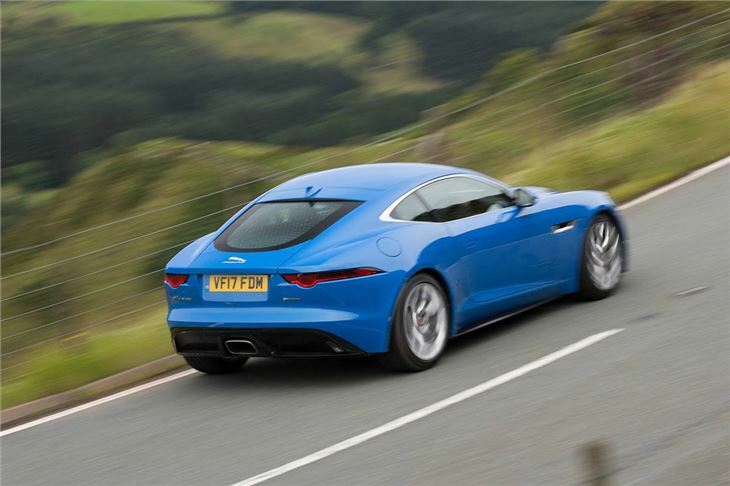 The soundtrack might be lacking slightly, but there is enough on offer in terms of noise that it is not devoid of character.There is a lot to recommend this new 2.0-litre version of the F-Type, just don’t go thinking it is a budget option. The biggest downside is with the ‘entry-level’ description. 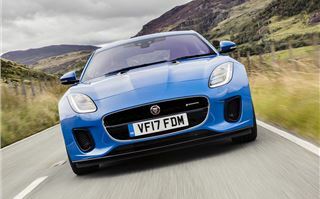 This might be the cheapest way into an F-Type, but that doesn’t make it cheap. The starting price is still a hefty £49,900, which is a good £4500 more than the automatic version of the Porsche 718 Cayman, which is quicker and marginally more efficient than the F-Type. As soon as you start adding options to the F-Type, or step up to R Dynamic trim, then the price gap to the V6 versions starts to close, too.